The beginning of the school year may seem overwhelming for parents, with navigating bus schedules, after-school activities, and new classroom expectations. To make the beginning of the year a little less hectic, we answered all your questions about the IEP process as well as taking a look at speech therapy services in the school. An IEP, Individualized Education Program, is a legal document for each child in public school who qualifies for special educational services. The IEP documentation process is a team approach consisting of caregivers, classroom teacher, special education teacher, and specialized therapists (speech therapist, occupational therapist, vision therapist, psychologist, etc). The IEP outlines the appropriate and necessary special educational services available to your child to help them become most successful in the classroom. What is included in an IEP? Current performance level. The IEP will outline your child’s strengths and weaknesses academically, socially and behaviorally. 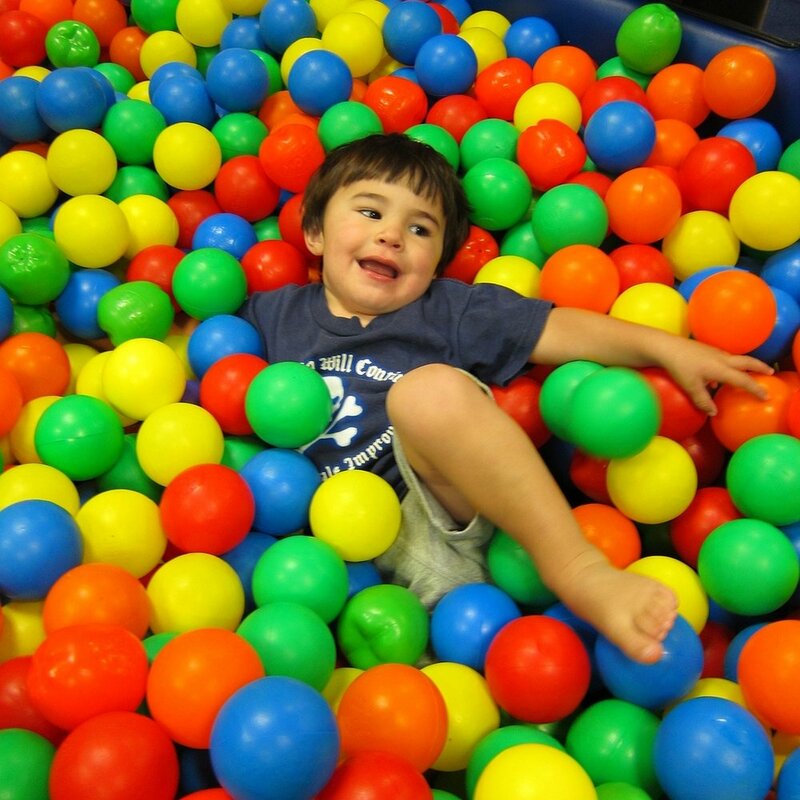 If appropriate, it will include an analysis on language and speech development, sensory needs, fine motor development and gross motor development. Standardized assessments will be explained with scores and severity level. Each member of the IEP team will communicate specific information about their area of expertise such as progression with current goals, strengths and weaknesses, and type of support provided. Measurable goals. The second piece of information included in an IEP is the goals. Goals are created based on your child’s current needs. Goals are specific, measurable, attainable, realistic and timely. Progress on goals should be observed and documented throughout the year by the attending professional. During annual IEP meetings, goals will be modified, upgraded, and downgraded based on your child’s progress. Appropriate services. The final piece of information included in an IEP is the action plan, such as recommended services, start date, location (in classroom or out of classroom), and professionals involved. Services may include extended testing time, reading intervention, speech therapy 1x/week, qualification for a communication device, and so on. The type, frequency, and implementation of services will be specific to your child’s needs. What should you expect in an IEP meeting? IEP meetings occur annually to discuss progress, concerns, and make necessary updates. If necessary, IEP meetings can occur more than once a year to discuss changes or modifications to the current plan. Prior to the annual meeting, team members will re-evaluate skills through standardized and/or non-standardized assessments, observe behaviors and participation in the classroom and analyze data collected on goals. The new IEP is written with updated goals and services. The annual IEP meeting will be scheduled in advance to ensure each member of the team is present. During the meeting, each team professional will communicate progress and modifications of current goals and services. After each member of the team has discussed their area of specialty, caregivers will be able to discuss current concerns observed at home. In preparation of the meeting, write down noticeable areas of improvement and weaknesses to discuss during the meeting. The meeting may seem overwhelming with excess amounts of educational jargon, so being prepared with specific questions or concerns will ensure you have all your questions answered. If you feel rushed during the initial or annual meeting, feel free to ask for a copy of the IEP to review at home before signing off on the current plan. Once you are comfortable with the current plan for services, your signature will allow for the IEP to become effective. In order to determine eligibility for speech therapy services through the school, the speech therapist must obey the federal regulations of the Individuals with Disabilities Education Act (IDEA). Eligibility is determined through a multi-step process including observation, teacher reports, screening, standardized assessments, work samples, and parent reports. The speech-language pathologist will determine if there is a language or speech disorder. In order for the child to receive services in school, the disability must be adversely affecting educational performance. The following can be used to determine adverse academic impact: teacher’s reports, work samples, grade and therapist’s observations in the classroom. Due to caseload capacities, mild speech and language disorders may not qualify for services in the school. If you are concerned with your child’s speech and language development but your child does not qualify for services in the school, you may obtain services through a private practice. If your child qualifies for speech therapy services, it is important to establish a good rapport with the speech-language pathologist. Parent involvement is crucial for carryover of skills into the home environment. Below are questions to ask your speech therapist in the beginning of each school year. 1. What will be the type of service? There are two types of service methods: push-in or pull-out. Push-in is providing speech services in the classroom. The speech therapist collaborates with the teachers and classroom staff. This method allows the speech therapist to target social interactions within the classroom setting. Therapy in the classroom is most beneficial for children demonstrating difficulty with participation in the classroom. It is a great way to work on social skills, reading comprehension, or other language goals that may be impacting one’s academic success. Benefits include peer models, not missing instructional time, collaboration between classroom staff, and addressing specific academic concerns. Disadvantages include classroom distraction and limited one-on-one instruction. Pull-out method performs speech therapy in the designated speech room. Services may be conducted in a group or individual setting. Pull-out method is recommended for children with articulation goals or specific language concerns. Advantages of pull-out allows specific instruction and intervention in a small group setting. The lesson can be child-specific and independent from the classroom curriculum of that day. The disadvantages of pull-out is that the child is taken away from peer models and may be pulled out during classroom instruction. 2. What will be the group size? Group size varies depending on grade, speech goals and time of day. Most school groups fluctuate between three to five students in a group. 3. How will be the groups be divided? Groups can be divided in a variety of ways: grade level, type of speech therapy (articulation, language, social), or ability level. Knowing how the group is divided is important to make sure your child is receiving the adequate amount of personalized instruction. 4. What will the weekly schedule be? Each school speech therapist creates their weekly schedule differently. It is important to know how often and the amount of time your child will be receiving services. Will it be once a week for 20-30 minutes or three times a week for 15 minute increments. 5. What are the goals of therapy? This is the most important question to ask your speech therapist. The speech therapist will have long term goals for the length of the IEP, as well as short term goals she/he will be targeting during sessions. Ask the therapist what goals to work on at home to facilitate carryover into the home environment. For more information on speech therapy services outside school, contact Lumiere Children’s Therapy at 312.242.1665 or www.lumierechild.com. A newborn only sees black, white and gray during the first week of life. Throughout the next 10-12 weeks, newborns slowly adjust to color vision and the full color spectrum is developed by five months old. Around 18 months, children begin to notice similarities and differences between sizes, shapes and colors. They are able to recognize the variety of colors, and are able to accurately name at least one color by three years old. Recognizing and naming colors is an exciting development for children since so many children’s toys are brightly colored. Children learn colors in three steps: matching and categorizing colors, identifying colors, and finally, naming colors. Below are toys and resources to use during each stage. · Puzzles are a great way to work on matching colors. Some favorites include: Melissa & Doug Colorful Fish Wooden Chunky Puzzleand The Learning Journey Lift & Learn Colors & Shapes. · Categorize by color and shape with MoTrent Wooden Educational Preschool Shape Coloror Melissa & Doug Stack and Sort Board Wooden Educational Toy. · Learning Resources Farmer’s Market Color Sorting Sethelps educate children on the colors of fruit and vegetables through sorting into purple, yellow, orange, green, and red baskets. · Have children identify colors by pointing during a game of “I-spy”. While grocery shopping, ask your child “point to a red apple”. Not only are you working on colors, but food recognition as well! · If your child enjoys arts and crafts, participate in painting and coloring with your child. Ask your child to hand you different colored art materials such as blue paper, a purple crayon or a red sticker. · Encourage naming colors during coloring activities by having the caregiver hold the crayon box, and requiring your child to request each color. Let your child reach for the requested crayon to ensure they are asking for the desired color. · The Learning Journey Learn with Me Color Fun Fish Bowltargets recognition and identification of colors. The first setting identifies the color of fish inserted, and the second setting will request a specific color. · Continue to ask your child about colors during play. Most toys are very colorful, so you can ask, “What color is this?” throughout the game. · Great colorful toys: YIRAN wooden pounding bench, The First Years Stack Up Cups, and Melissa & Dough Shape Sorting Cube. Hudson, Judith. “When Will My 2-Year-Old Know His Colors?” BabyCenter, 3 Apr. 2018, www.babycenter.com/404_when-will-my-2-year-old-know-his-colors_69360.bc. “When to Teach Kids Colors?” New Kids Center, www.newkidscenter.com/When-Do-Kids-Learn-Colors.html. “Your Baby's Eye Development.” Bausch + Lomb, www.bausch.com/vision-and-age/infant-eyes/eye-development.